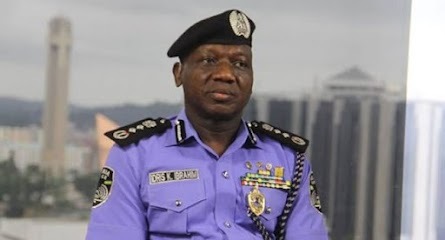 A group under the aegis of Coalition of Civil Society Groups for Integrity and Justice (CCSGIJ), has requested that the Inspector-General of Police, Ibrahim Idris should honourably resign his appointment, within 5 working days. The coalition, comprises Lawyers Integrity Crusade Network (LICN), National Association of Nigerian Students (NANS), National Youth Council of Nigeria (NYCN), National Youth Democratic Congress (NYDC) and other Civil Society Organizations. They said the allegations standing against the police chief were overwhelming, saying it was high time he exited the force to salvage the image of the country. Mr. Ibrahim Idris had come under intense criticism lately, owing to avalanche of allegations levelled against him by the Senator representing Bauchi Central, Isah Hamma Misau. Senator Misau alleged that the Inspector-General of Police was engaging in promotion racketeering and taking bribe as much as N15m before posting Commissioners of Police and State Mobile Commanders. He said the Police Boss allegedly recieved N10bn monthly from oil companies and other private individuals who enjoy special protection from the security agency, as well as having an illicit affairs with female officers and arranging secret marriage with one ASP Amina. At a joint press briefing in Abuja on Sunday, the coalition said “Mr. Idris has lost integrity and the moral standing to lead the Nigeria Police Force. The coalition also frowned at the continuous sealing off of the National Headquarters of the Peace Corps of Nigeria, since the arrest of some National officers of the Corps, February 28th, 2017. According to the group, the Peace Corps office was sealed off by the Police for 9 months running, based on mere allegations, adding that the Force had no moral ground to clamp down on youths based organisation such as Peace Corps of Nigeria. "We fear that, the posture taken by IGP Idris against the Peace Corps of Nigeria and its leaders, if not checked, is capable of leading to a chaotic situation where the overwhelming population of Nigerian youths who are benefiting from the Corps could take the law into their own hands to obtain justice”, they said.